Editor's note: This story has been updated with comment from Houston Mayor Sylvester Turner's office. While the federal government says it has reunited hundreds of children who were separated from their parents at the southern border, new documents show the number of immigrant children held at Texas shelters has grown in recent weeks — and private groups hope to build as many as four new facilities to meet the demand. The newly released documents from a Texas regulatory agency show there has been a continued influx of children housed at state-licensed shelters that has pushed the facilities nearly to capacity. As of July 13, Texas shelters housed 5,024 “unaccompanied” children, up from 4,919 on June 21. Texas regulators do not differentiate between children who arrived at the border without adult supervision and those separated from their families under a new Trump administration policy of “zero tolerance.” Under that policy, parents and children were split up at the country’s southwest border, with kids sent to federally contracted shelters and their parents sent to jail on the criminal charge of illegal border entry. A group called CHSI has applied to open three new shelters — two in San Benito and one in Los Fresnos — to care for unaccompanied boys and girls up to 17 years old or as young as infants, documents show. A spokesman for the Texas Health and Human Services Commission, which licenses the shelters as child care facilities, did not immediately respond to a request for more information about CHSI. The name apparently refers to Comprehensive Health Services, a Florida-based company that has previously received contracts from the U.S. Office of Refugee Resettlement. A phone call to the company was not returned Friday evening. 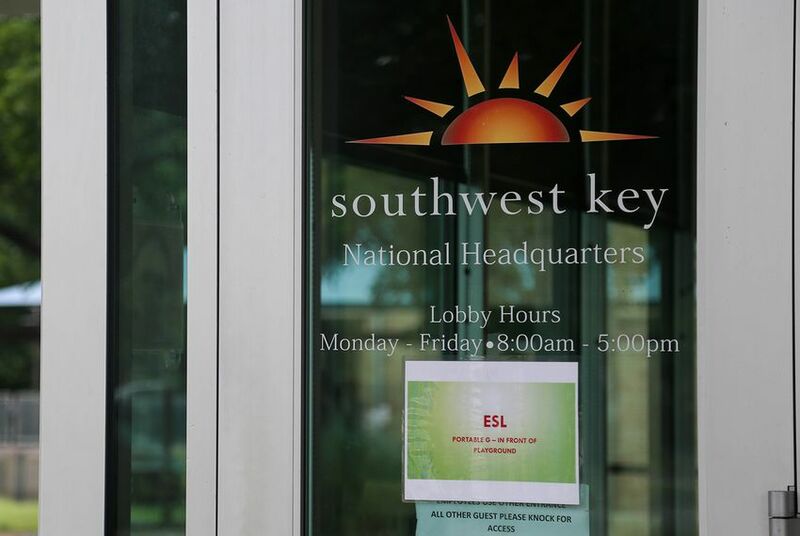 A fourth shelter would be built in Houston and run by Southwest Key, a nonprofit organization that houses the largest number of unaccompanied children among any provider in Texas. Health commission documents show Southwest Key’s application for the shelter was “accepted,” despite recent outrage from Houston Mayor Sylvester Turner and other local officials over the proposal. State Sen. Sylvia Garcia, a Houston Democrat, called the planned facility a “baby jail” at a June 19 press conference. Two days later, Southwest Key spokesman Jeff Eller said that the nonprofit met with Turner and the mayor indicated that he would approve of the facility as long as it didn't house children who have been separated from their parents. Alan Bernstein, a spokesman for Turner, said Sunday that Eller's statement was untrue and that the mayor continues to have "strong objections" to a new shelter in Houston. State officials must approve shelter operators' applications before they may house immigrant children under contracts with the federal government. Private shelter operators have scrambled in recent weeks to accommodate the number of children separated from their families, which spiked in June under the Trump administration's hard-line immigration policy. A federal judge recently ordered the federal government to reunify as many of those families as possible. The Trump administration said Friday it had reunited 450 children ages 5 to 17 with their parents, leaving about 2,000 children in that age group still separated. U.S. District Judge Dana Sabraw gave the administration a July 26 deadline to reunify those families. Sabraw had also set a deadline of July 10 for children younger than 5 to be returned to their families. Two days after that deadline passed, the government had reunified just 57 out of 103. The rest of the children were deemed ineligible. Ryan Murphy and Chris Essig contributed reporting.